I met this little snake the other day leaving my office, so I snapped his photo. Then, when I got home, I did the strangest thing; I looked up snakes in a book instead of the internet. Did you know they have information in books too? 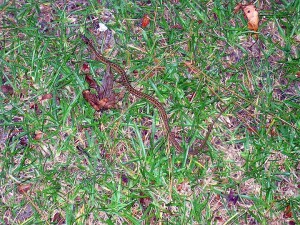 Anyway, I think I’ll call this Garter Snake Rover, but I sure hope I don’t see him again. 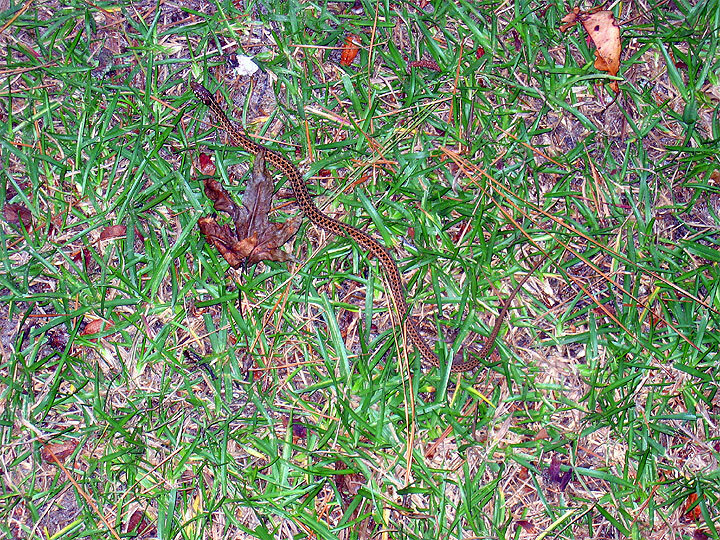 I’m not scared–I just don’t think snakes can safely hang out that closely to parking lots. You didn’t tell me you saw a snake. Did not know we had snakes here?? ?